Premise- One contestant, or “The One”, is pitted against 100 other contestants called “The Mob”. The contestants will be asked a multiple-choice question, followed by three possible answers. 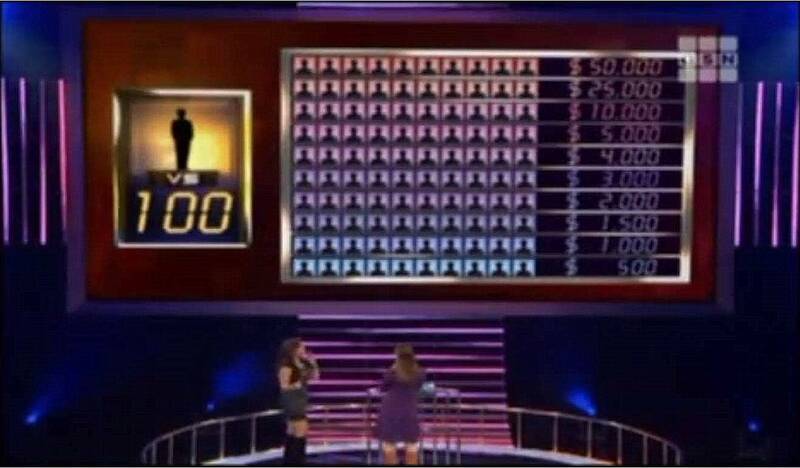 If the contestant gets the question right, they will move up one money level for every ten mob members who answered the question incorrectly. 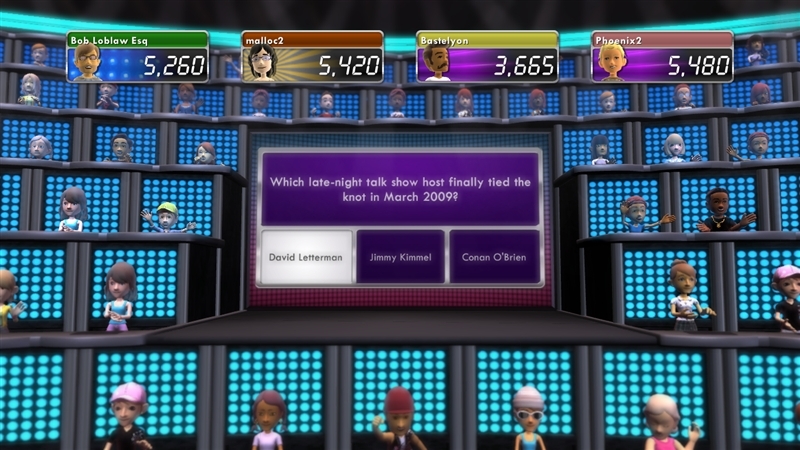 During the game, the contestant has two “lifelines”, or “helps” as the show calls them, to help them answer any question throughout the game. The two helps are “Poll the Mob” and “Trust the Mob”. “Poll the Mob” enables the contestant to choose one of the three possible answers to discover how many members of mob selected that answer. With the “Trust the Mob” help, the contestant is automatically locked in to the most popular answer chosen by the remaining members of the mob. If the contestant can successfully eliminate all 100 mob members, the contestant will win $50,000. However, if the contestant answers one question incorrectly, the contestant will leave the game empty handed and the remaining members of the mob who answered the last question correctly will split the contestant’s winnings. Before I begin my review, allow me to shed some light on this show from its humble beginnings. This show originally aired on NBC for three seasons from October 13, 2006 until February 22, 2008. 1 vs. 100 was usually paired with Deal or No Deal on Friday nights on NBC, with Deal or No Deal airing at 8:00pm, followed by 1 vs. 100 at 9:00pm. The show was cancelled during the third season due to its low ratings. After the show was canned, Microsoft developed the 1 vs. 100 XBOX Live game, and made it playable on any XBOX 360 console with online capabilities. Gold members of XBOX Live could be chosen to play as either a member of “The Mob” or “The One” facing against the mob of 100 online players. It wasn’t until after people started playing the Xbox Live version of the once popular NBC show and watching reruns of the show on GSN that the “1 vs. 100” craze quickly picked up where it left off about two years ago. On November 15, 2010, GSN launched the revival of 1 vs. 100 hosted by Carrie Ann Inaba. Only two “helps” are available to use now: The original three helps were Poll the Mob (in use), Trust the Mob (in use), and Ask the Mob (now defunct). I have always enjoyed 1 vs. 100 for the fact that you actually have to know something in order to win money, and it’s also challenging because the show pits one contestant against 100 other contestants (a little intimidating if you think about it). On a side note, this game show has the most contestants (101 total) simultaneously competing against each other, with the 2000 short-lived CBS primetime game show Winning Lines coming in second with 49 contestants. Actress Carrie Ann Inaba from Dancing with the Stars is now the host of the GSN revival. From what I have seen from the premiere episode, she is doing a great job with the show. She brings the right amount of energy to the show and I like the way she makes the contestants feel comfortable and less nervous, knowing that they have a long road ahead of them in order to win the game. The only complaint that I have about Inaba (and I might be nit-picking here) is that I feel that she forces the excitement in her voice whenever she says “It’s 1 vs. [the number of remaining mob members]”, and when she introduces the show back from the commercial break. But aside from that, she is doing a decent job with the show. I do not have much to criticize about this show. My only problems with the show are that because of the reduced show time, I feel like that they are rushing through the show a little bit because they only have thirty minutes to do the show as opposed to the original hour-long format. Also, because of the switch to the half-hour format, I think the show will become a little bit more predictable towards the end of an episode. What I mean by this is (hypothetically speaking) if there are two minutes left in the show, the contestant will be more likely to walk away with the money, because of the fact that the show is almost over. I have seen this happen dozens of times on Deal or No Deal. Overall, I think GSN may have finally produced a winner out of the many failed shows they have created since 2005, excluding the 2010 dating game show Baggage. Although I have some concerns with the show switching into a half-hour format, I believe the show would fare better with an hour-long format. I have a good feeling that GSN’s 1 vs. 100 may have a healthy duration on GSN; hopefully, similar to GSN’s other successful original shows such as Catch 21, Lingo, and The Newlywed Game. It is just one of the TV gameshows which has an XBOX counterpart. It's really challenging to go up against the mob. Hmm, it's sad that it went down because of low ratings. But it is a gameshow that will give you thrills, together with the ultimate chance to beat 100 people all by yourself.